Traders Hotel Singapore is located near the Orchard Road shopping district. It is connected to Tanglin Mall offering direct access to stores - cafes - restaurants - supermarket - and a pharmacy. The embassy district is in walking distance - and the Botanic Gardens are minutes away. A complimentary shuttle goes to Orchard Road - subway stations - shopping malls - the business district - and business parks. The hotel is a 25 minute drive to Changi International Airport.Traders Hotel Singapore offers comprehensive facilities and attentive service. Dining options include a poolside pub - casual restaurant - and casual cafe. Atop the property a lush garden borders the outdoor free-form 30-metre swimming pool and Jacuzzi. The fitness centre has a fully equipped gym plus sauna - steam - hyrdobath - massage - and spa treatments. The business centre offers hi-speed Internet access and secretarial services at reasonable rates. 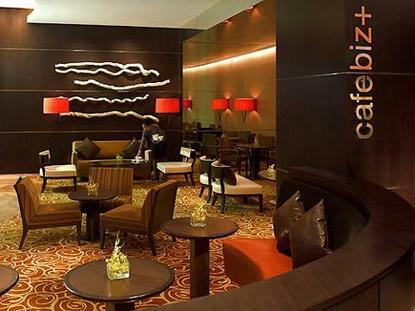 As well - wireless access is provided in the Lobby - Cafebiz - Cafebiz Plus and Traders Club Lounge. For meetings the hotel has ten function rooms - and a ballroom that holds 350. The Hospitality Lounge is complimentary for early arrivals or late departures. The hotel has 546 guestrooms including 14 suites and 124 Traders Club rooms. Accommodations feature a contemporary design with Asian influences. There are also 18 studio apartments for guests who want extra space or a longer stay. All rooms have hi-speed Internet access - cable and satellite TV - in-room safe - IDD phones - working chair and writing desk - linen bathrobes - plush towels - and premium toiletries. Traders Club room has extra amenities such as personal concierge - all day beverages - and evening happy hour in 17th floor exclusive Traders Club Lounge. Guests in suites are entitled to Traders Club extras.